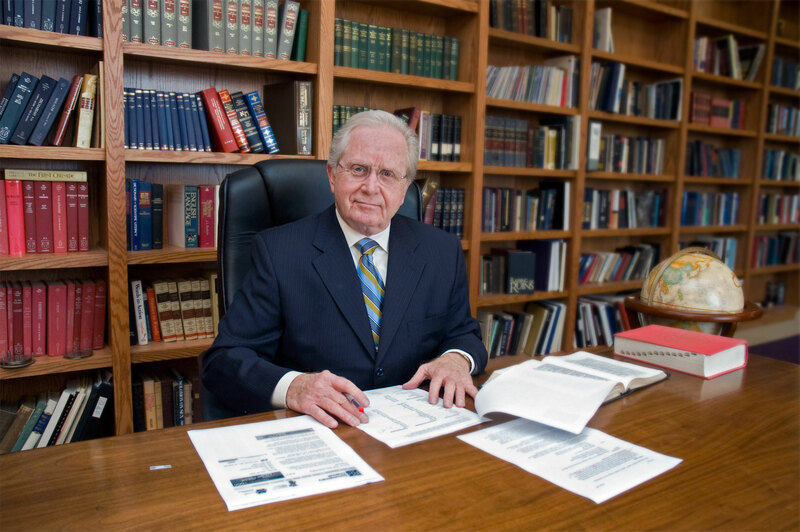 Gerald Flurry recorded a brand new episode of the Key of David program, which aired nationwide on October 16. Mr. Flurry explained why former Worldwide Church of God Pastor General Herbert W Armstrong travelled around the world meeting various heads of state—internationally recognized as an unofficial ambassador for world peace. Over the course of his ministry in God’s Church, Mr. Armstrong met with over 300 world leaders—upon their invitation. While addressing them, he spoke forthrightly about many of the heartbreaking problems he saw in the nations he visited. But he always gave the nations hope; the inspiring solution of God’s Kingdom being set up on this Earth, which will solve all of mankind’s perils. Mr. Armstrong possessed insight like no other man of his time because he didn’t speak from his own mind, but from the mind of God—through the truth revealed in the Bible. Before his death in 1986, he accurately prophesied of many world events that were to take place—and they have or are coming to pass today. Mr. Armstrong, however, never took any of the credit. Bible prophecy informed every one of his forecasts. 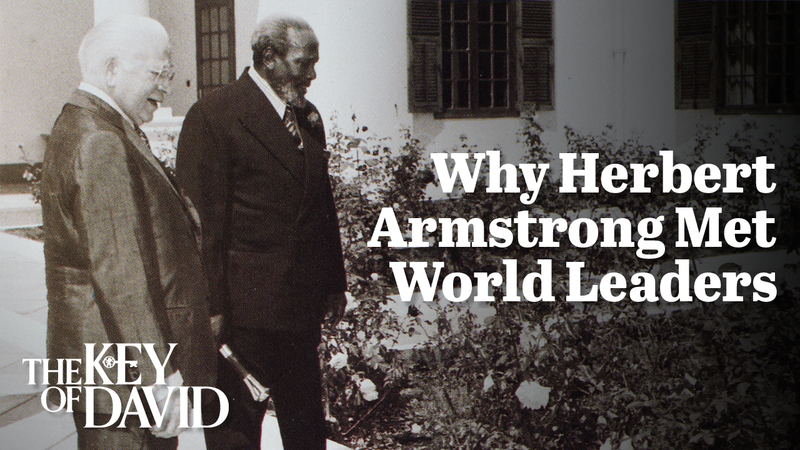 Today, Gerald Flurry continues the same work that Mr. Armstrong’s disloyal successors abandoned after his death. The Philadelphia Church of God has obtained the copyrights to all of Mr. Armstrong’s major works and offers them for free at no cost or obligation. Gerald Flurry’s newest article “America Faces an Explosion of Racial Violence,” which will be featured in the September 2016 print edition of the Philadelphia Trumpet newsmagazine, addresses one of the country’s most urgent domestic problems. 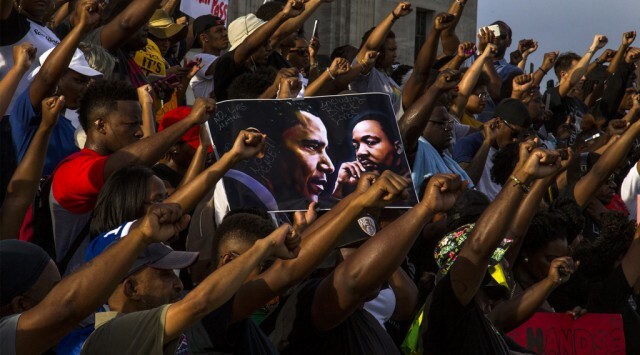 In light of the most recent police assassinations in Dallas, Texas, and Baton Rouge, Louisiana, it is clear that the state of race relations in the United States is in steep decline. Gerald Flurry gives an in-depth analysis on the cause of the race-related woes plaguing the U.S. and what the Bible has to say about the sociopolitical state of America and the West today. Mr. Flurry explains that much of the problem is actually being fueled by prominent political officials in our country—especially those in Washington. President Barack Obama himself has weighed in on several police shootings in recent years, which has incited more racial division and tension in the country. The divisive narrative we hear against law enforcement in the media today is leading this country into a state of lawlessness that will only create more problems. Since 1992, the Trumpet has been warning about the perils of racial violence that are prophesied to come to America and Britain for their rebellion against God’s law. But we’ve also been proclaiming the good news that these terrible events will soon come to an end when Jesus Christ returns to Earth to abolish all injustice and racism—permanently. Be sure to read Gerald Flurry’s latest article for insight into a problem that you cannot afford to ignore. Gerald Flurry and the Philadelphia Church of God purchase Edstone Hall in England. 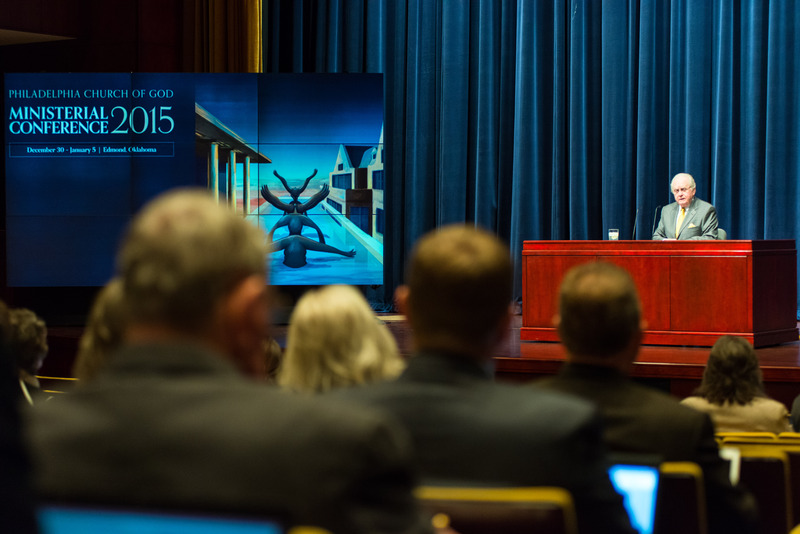 WARWICKSHIRE, ENGLAND—Philadelphia Church of God Pastor General Gerald Flurry flew to England on May 8, 2014 in search of a sister campus for the church’s headquarters campus in Edmond, Oklahoma. Efforts to acquire a campus in England began the previous year, when the church made an offer on a portion of the Bricket Wood estate, including its mansion, Hanstead House. This St. Albans estate is where the late Worldwide Church of God founder Herbert W. Armstrong established an Ambassador College campus. Mr. Flurry announced the offer in July 2013 during the pcg’s annual Philadelphia Youth Camp in Edmond. The process proved to be slow-moving and fruitless over the next nine months, so Mr. Flurry decided to look for a campus elsewhere. 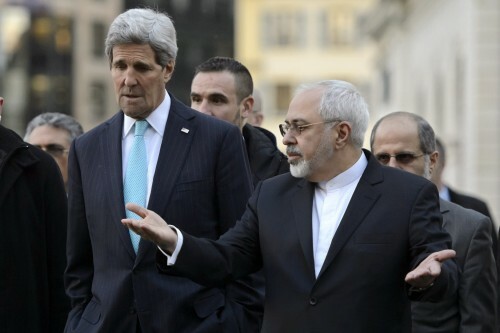 During a visit to the United Kingdom in 2014, Mr. Flurry and his son visited six potential estates. They said all of the sites were impressive, but that only one stood out. On May 14, the pcg submitted an offer for a prestigious Warwickshire estate, which was quickly accepted. The purchase was finalized in early June. 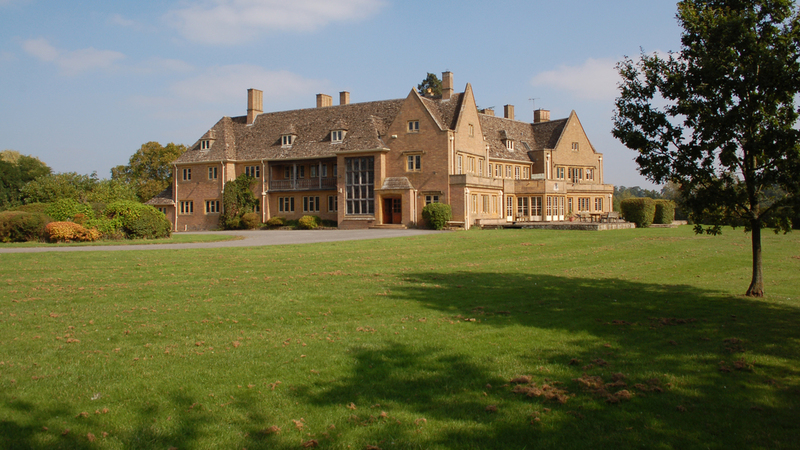 Acquiring the keys to Edstone Hall wrapped up a two-year expedition for the new campus in England. From there, church officials prepared the estate for the upcoming Herbert W. Armstrong College academic year and for the church’s work in Europe. Contractors renovated the aging building. Local pcg members gathered on several occasions for work parties. Updates to Edstone Hall continue to this day, as United Kingdom/Europe regional office staffers and contractors update fixtures and appliances and install new flooring and walls. Edstone now houses a television studio where presenter Stephen Flurry records Key of David programs broadcast to millions of homes throughout the United Kingdom and Europe. The work has grown significantly in England under Mr. Gerald Flurry’s direction and is making an impact in a worldwide way. As progress continues at a rapid pace, look for new projects and opportunities coming out of Great Britain. Steve Jobs, considered by many to be the greatest CEO of all time, had a very peculiar, yet profound quality about him that enabled him achieve so much success. His ability to focus intensely helped him to make Apple one of the greatest (arguably the greatest) companies in all history. Activist investor Carl Icahn has listed Apple as being worth $1.4 trillion today—this says a lot about the vision and focus Steve Jobs had when developing products and striving for perfection. 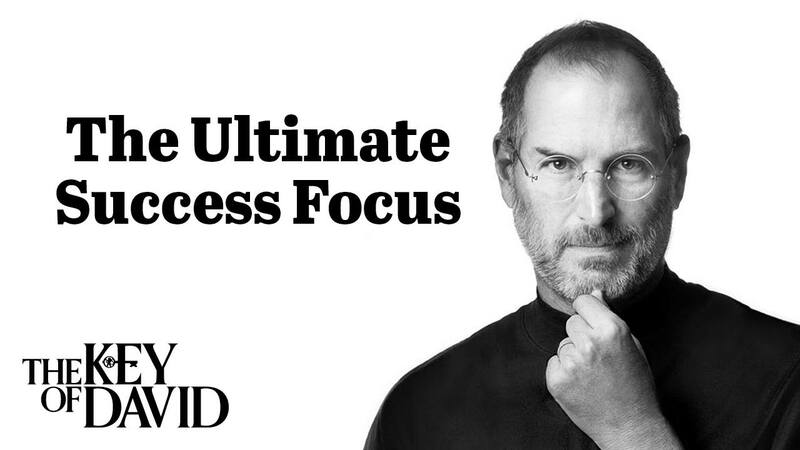 On this episode of the Key of David program titled “The Ultimate Success focus,” host Gerald Flurry spoke about Steve Job’s ability to intensely focus on his goals—the ultimate success focus. This is the same kind of focus that we must acquire in order to attain a spiritual prize greater than anything else on earth—greater than any physical possession, including $1.4 trillion. So often the small minority of people reach real success. In fact, most don’t even know how to define what real success is, so there is no hope that they will be able to actually attain it. Herbert W. Armstrong, pastor general of the Worldwide Church of God, wrote the book “The Seven Laws of Success,” which has been distributed to millions of people over the decades explaining how to attain true success in your life. The majority of successful and wealthy throughout history have properly applied the first six laws, but the seventh law eluded them! This book, which Gerald Flurry offered in this program, will reveal these crucial six laws, but also the pivotal seventh—the spiritual dimension to real and lasting success. 2015 was another successful year for the Key of David Program. 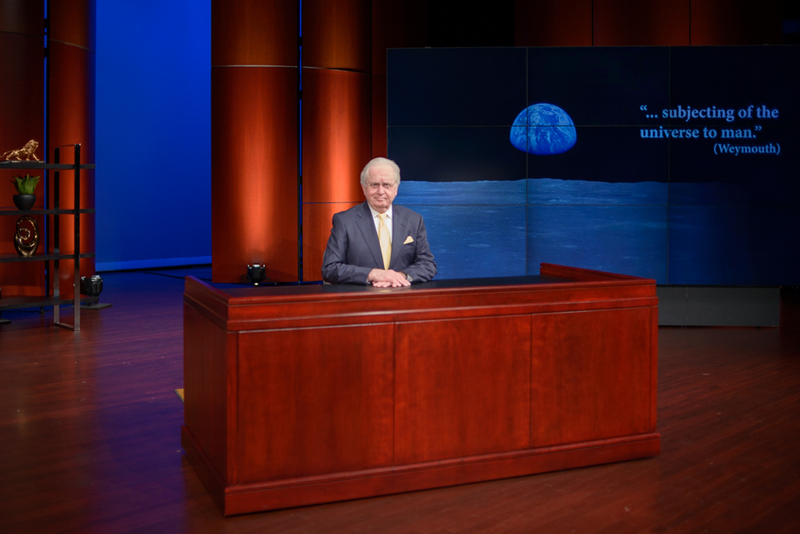 Host Gerald Flurry recorded 32 new programs from the Key of David studio on the stage of Armstrong Auditorium in Edmond, Oklahoma. Each episode aired nation-wide (and worldwide). 9. Hidden Danger In Keeping Christmas? If you haven’t seen any of these programs yet, be sure to watch them here. These programs received 2 million online views over this past year, and you can find an archive of all the Key of David episodes at the Key of David‘s YouTube channel. Gerald Flurry will continue to record new episodes in. You can find the station listing for the program here to find out when, and where, you can view the program on TV. As of this year, the Key of David Program reaches a potential audience of over 400 million people worldwide. Be sure you don’t miss out on another exciting year of programs that will bring meaning to your life and help you understand the world. Gerald Flurry spotlights one of the most incredible discoveries made in archaeological history on this week’s episode of the Key of David. 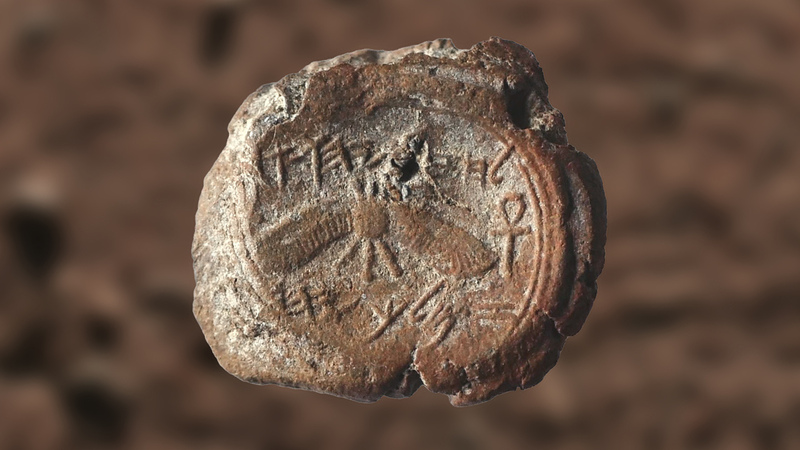 This recent discovery of the official royal seal of King Hezekiah proves the authority of the Bible, and, equally as important, shows us the incredible lesson we can learn from this former king of Judah. 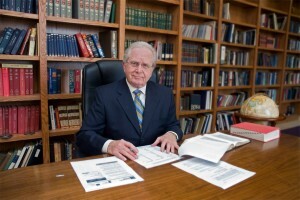 The Armstrong International Cultural Foundation, chaired by Gerald Flurry, has been a large supporter of Dr. Mazar and her excavation projects. Herbert W. Armstrong College has sent numerous students to Jerusalem in the past to participate in her archaeological excavations. Mazar’s other discoveries in Jerusalem include King David’s palace, Nehemiah’s wall, bullae belonging to princes who persecuted the Prophet Jeremiah, a Davidic-era secret tunnel, and a Solomonic-era wall. She plans to publish Volume 1 of her final report on her recent Ophel excavations later this month. Secular sources corroborate the unbelievable story of King Hezekiah. Hezekiah’s reign is also one of the best documented pieces of history cited by non-biblical sources such as in the chronicles of the Assyrian kings Sargon II and Sennacherib. Rarely have science and the Bible so dramatically converged—this time proving that King Hezekiah is far more than an ancient legend. His story is proof that God will perform powerful miracles for anyone who trusts Him.